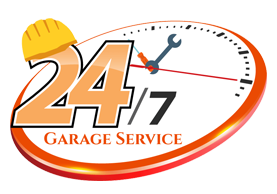 In need of a garage door repair in Toms River NJ? A broken spring can be a real hassle. Regardless to it being a torsion spring or extension spring this situation can ruin your day. Nonetheless, it is best to leave this trouble to the pros at Handyman Garage Doors Toms River NJ. We come with fully stocked trucks ready to fix the job right the first time. With over 500+ reviews throughout the internet our past customer service speaks for itself. Residential garage door springs usually last from 10,000 to 30,000 cycles. Nonetheless, after this long wear and tear even if your spring hasn’t broken it is time to replace your springs. The reason for such is the strain the spring gives the other parts of your garage door. If the springs are worn out they make the opener work much harder and the wear and tear for the cables and pulleys also increases drastically. The door also opens much slower than usual, this is an indication its time for a garage door spring replacement in Toms River NJ.